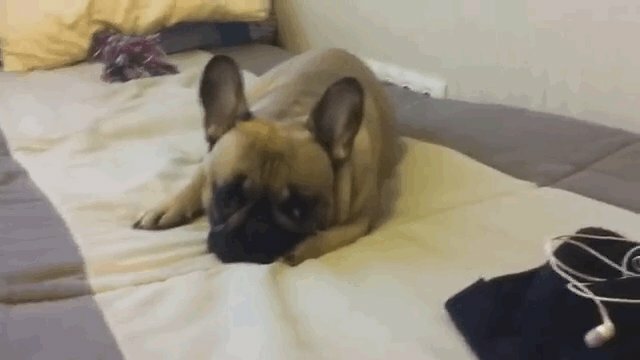 Alice, a young French Bulldog, gained some YouTube notoriety last January when a video of her pleading to be let on the living room couch went viral. Now Alice is getting meta: The little dog appears in a new video, which records her reaction to the old YouTube clip, which she watches intently on a computer screen. Recognizing her own cry, Alice seems to start mimicking her pleading noises from the video, as if begging to be let up on the couch all over again.